The next auction from Potter & Potter in Chicago starts tomorrow, Saturday, February 6, 2016, at 10:00 AM. 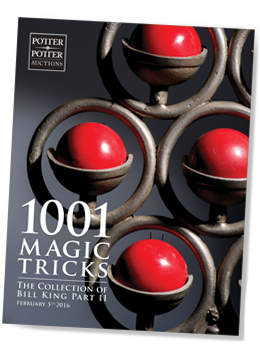 There are 1001 magic tricks (and more) including apparatus, books, posters and ephemera. The material comes primarily from the collection of Bill King. Advance bids are currently being accepted online. Good luck to all.